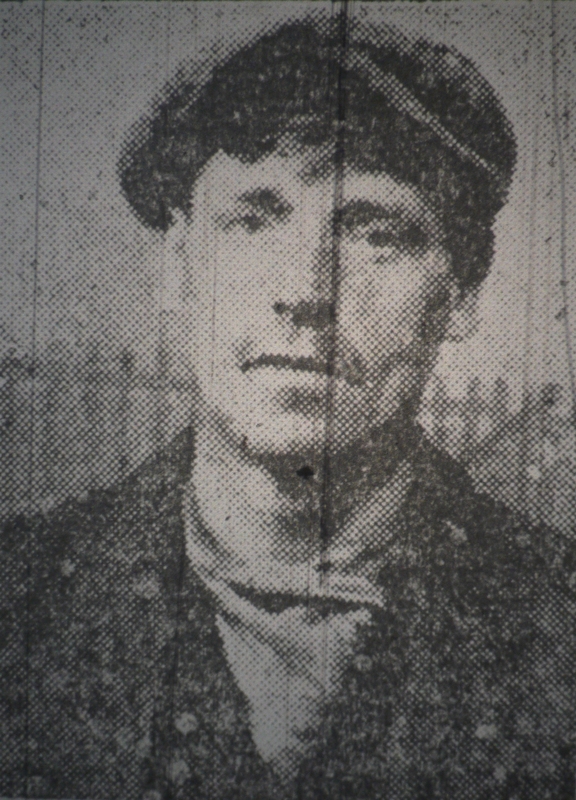 In the early hours of Wednesday 6 June 1917 Private Tom Lever of the 2nd Manchester Regiment arrived back at his home, 6 Spencer Street, Oldham. Later that morning he was interviewed by reporters from local newspapers for he was not back in Oldham on leave or suffering from injuries received in action; the reporters had come to hear the incredible story of how he had escaped from a German Prisoner of War Camp. The rations supplied to the men were totally inadequate and that without the parcels which had been sent from Great Britain they could never have lived. He expressed his own gratitude to Oldham people who had sent him parcels. The allowance of bread to prisoners was less than half a pound per day, and soup made from mussels was served for dinner and at night. Coffee made from burnt barley, without sugar, was served in the morning. The ‘soup’ dinner was seldom varied, unless they got on occasion, maize meal and water, which was only thin stuff. Food was very short for the German population, so bad that sentries would ask prisoners of war for some of their bread. The prisoners could not get better rations allowed them because the Germans had not got them. Soap was almost unobtainable. The civilian ration of bread was half a pound per day and they were allowed a quarter of a pound of meat per week and about six pounds of potatoes. If the people of this country could only see the things which are going on in Germany they would no complain much about the shortage of food and the little inconveniences which occur. He and four others tunnelled their way under the foundations of the camp at Herzlake, where he had been for only six days when he escaped. Two of the men were either recaptured or perished, but he and two others got clear. They passed the barbed wire entanglement near the commandant’s office. An alarm was given by a dog barking, but they found shelter in the moors, and had to make their way by night to reach the frontier. It was very light weather and they had to hide for 17 or 18 hours a day. They swam across three canals and across the river Ems. After swimming these waterways the men had to lay up with their wet clothing. All the food they had between them during this time was two bottles of Horlick’s Malted Milk tablets, one tin of Horlick’s Malted Milk, and twenty small biscuits. They had to drink bog water. On the Sud-Nord Canal they had an exciting experience, being observed by one of the patrols. It was 1am and the light was uncertain. A sentry raised bus rifle to fire and then hesitated as they stood perfectly still and must have like trees in the uncertain light. He walked away a few paces, looked again, and then went off and when he was out of sight the got to the canal lock bridge and turning the lever, went across it. The men subsequently crossed the Dutch border but didn’t stop to ask where they were until they were a good few miles into the country. It was easy to tell they were in Holland as they could see many hay ricks unlike in Germany where the stock was apparently low. They were treated with friendliness by the Dutch people as they made their way across the country to Rotterdam where they reported to the British Consul, who then arranged for them to travel home to England. Back in Oldham Tom Lever and his wife were visited by the Mayor and Mayoress of Oldham who were anxious to purchase something so that he would not ‘forget the experience and the achievement’ of his escape. As Tom Lever and his wife were ‘preparing for what they called the best room’ the Mayor and Mayoress decided to provide an oak overmantel and an oak table’. These two items were presented to Mr and Mrs Lever together with a safety razor for Tom Lever at a ceremony in the Mayor’s parlour a few weeks later.